Learn to Save Easily and Effortlessly – Yes, Really! We’ve all heard it before: save your money. Saving your money is very important. While they say money cannot buy happiness, it will give your bank account a bit more cushion and it also offers positive psychological benefits, not to mention increased peace of mind in case of unseen emergencies and that is worth more than the insanely overpriced Gucci bag you had been eyeing up or next year’s shiny new car with all the bells and whistles you have been swooning over since its early debut. Resist. You’ll be happy you did. You don’t need either of those. “Want” is not “need” and loose spending habits can start all too easily with no end in sight. Stay strong and read on. There is a financial rule that Senator Elizabeth Warren popularized called the 50/20/30 budget rule in her book “All Your Worth: The Ultimate Lifetime Money Plan.” Investopedia.com explains the basic rule is to divide after-tax income (not gross), spending 50% on needs, 30% on wants, and 20% to savings. That may seem like a lot to save right off the bat or perhaps the math is a little too complicated for you to calculate in which case possibly try the “pay yourself first” route. 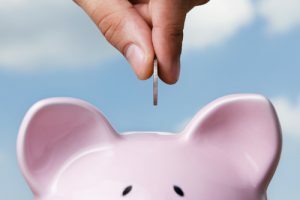 “Pay yourself first” is a phrase popular used in personal finance and retirement-planning circles that means you would automatically direct your specified savings contribution from each paycheck at the time it is received. This auto payroll deduction rule is simple to follow, simple to stick with, and really works. “Pay yourself first” is some of the best advice you can follow to save money without missing it and with minimal effort on your part. Start out with automatically having your paycheck deducted by a small amount with each paycheck directly into a separate savings account. Since you never saw the full amount of your paycheck in your checking account then you won’t miss what is gone. Over time you will get used to the smaller paycheck and can possibly increase the deduction by a little more. When you see your savings account growing with such minimal effort on your part it will spark a savings habit in you and you will want to see it grow bigger and bigger. Try it out for yourself. It’s addicting and actually fun! Want to get started on saving right away? Today Only $15 OFF at Auto Applied Checkout! Limited Time Only! Don’t Miss Out on This Savings – Get $15 OFF on orders $199 or More! This entry was posted in Professional Cleaning and tagged Janitorial Supplies, office supplies, technology products. Bookmark the permalink.